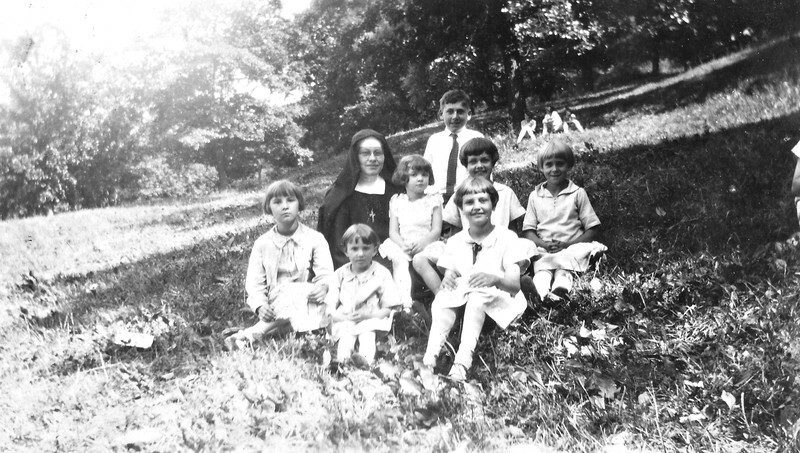 Sister Joachim (Sophie Von Arx) with Bernice and Bernetta (One right in back of the other on right side, and Irene Vona Arx, 2nd from left (small child) ---The others? Can't make out who the three people are sitting way in back under a tree. Yes, that is Irene. Some of the girls are daughters of William and Emma Von Arx. Is that Sister Joachim?